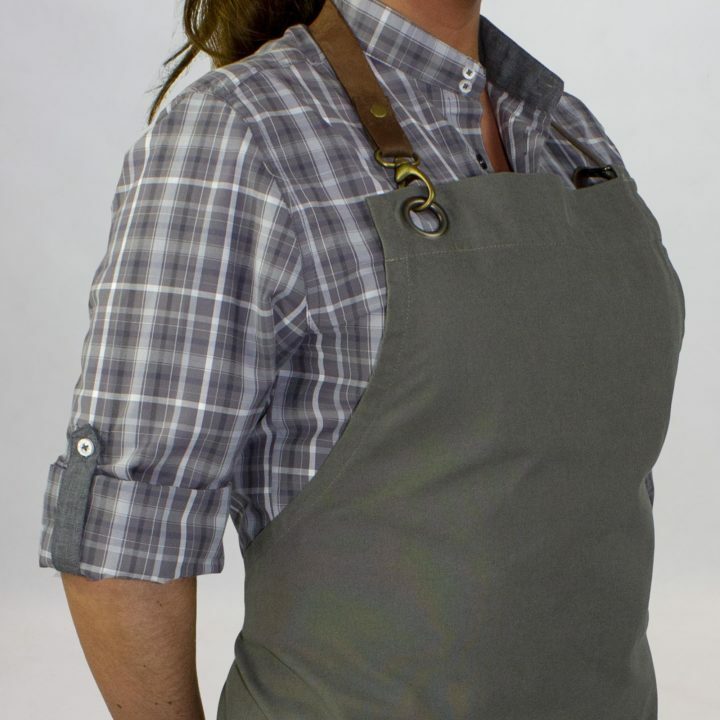 Kylemark didn’t make it to NR&B this year but we can still help you find the perfect on trend uniform. After several years at NR&B we decided to take a year out. That’s not to say we’ve been resting on our laurels. 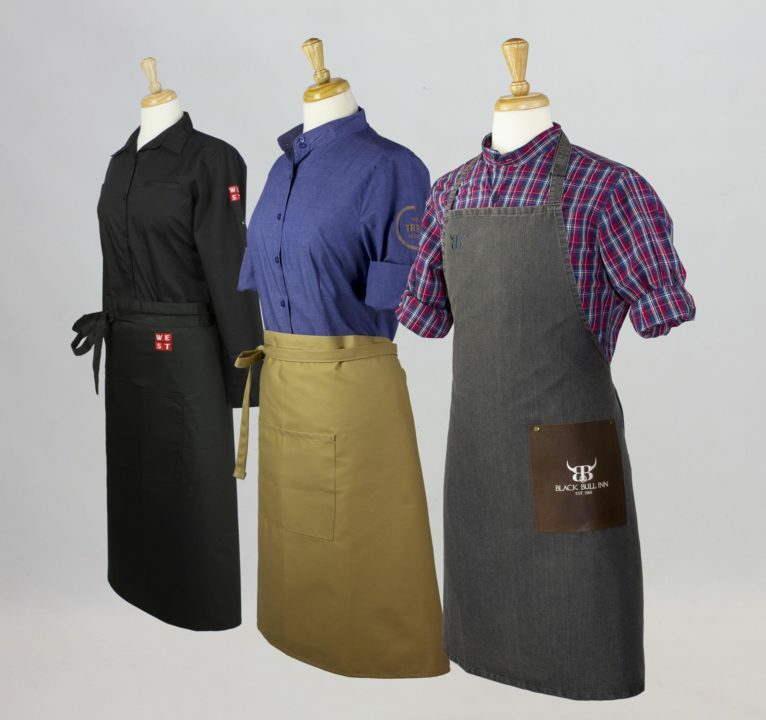 We have been working hard helping numerous businesses with Bar, Restaurant and Hotel uniforms that are tailored to their specific needs. Not so grim up north. For over 22 years we have been supplying Northern Britain. 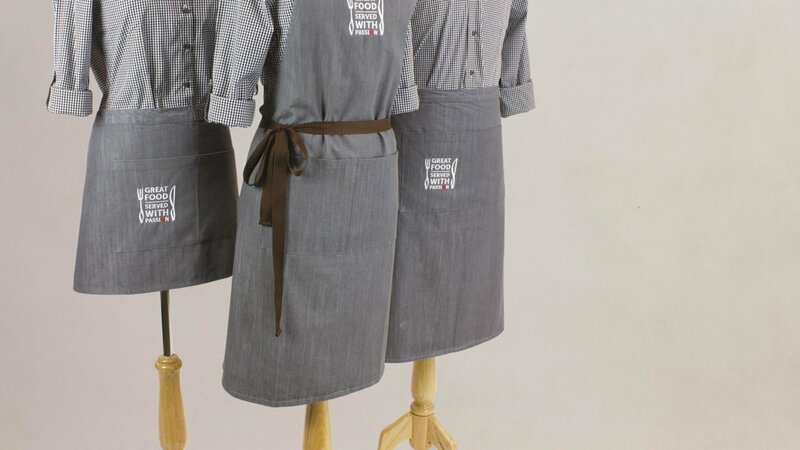 Using our experience in the Hospitality Trade to fashion unique looks for businesses. We pride ourself in our customer satisfaction with Trump Turnberry, Gleneagles, Abode and Brownswords just a handfull of our clients. Trends change from year to year but we like to think we are at the forefront of uniform design. The Urban uniform look is the go to style at the moment. 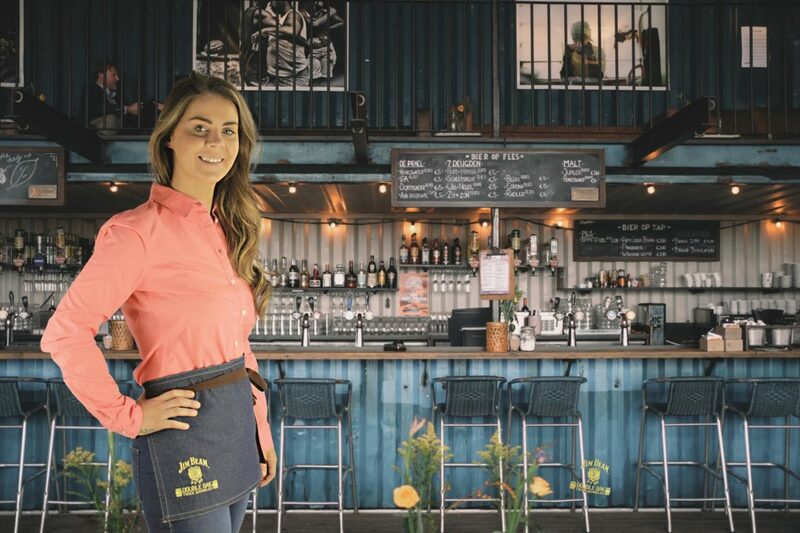 Canvas, denim and leather in more rustic, earthy tones are fitting really well with the interior bar and restaurant styling we are seeing all over the country of distressed wood and eclectic fittings. 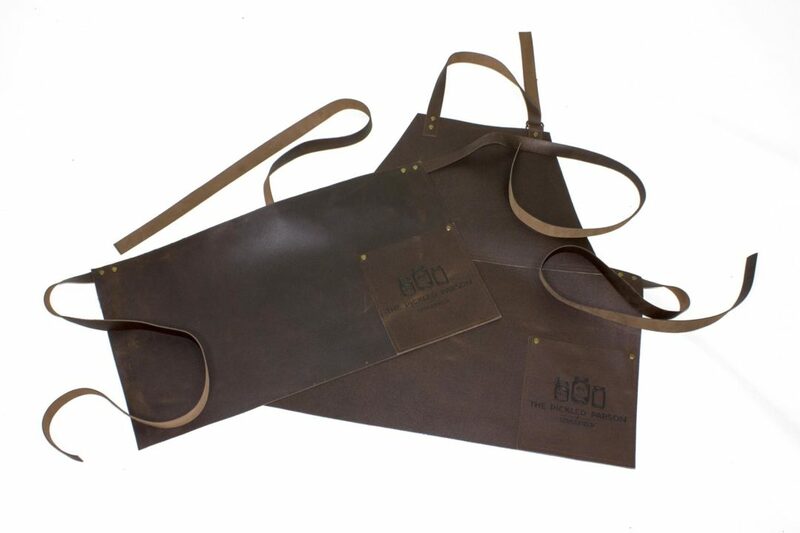 Customised aprons with antique brass metalwork, leather halters and pockets and classy branding fit so well in these environments. 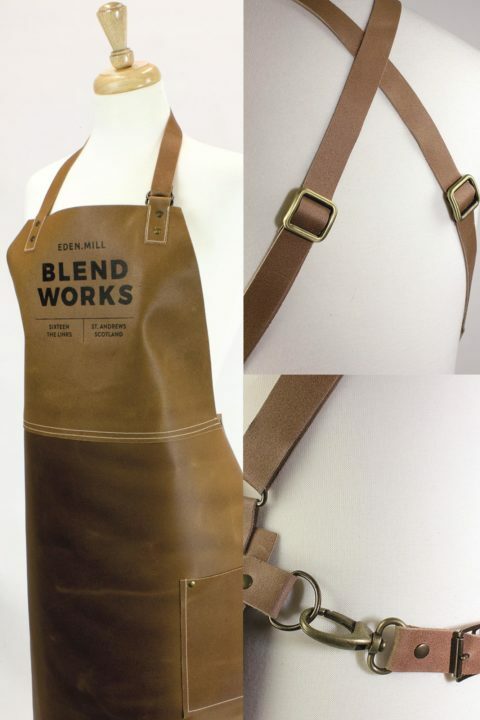 Kylemark’s own handmade leather aprons are perfect for this look and being made from 100% British Bull hide only look better with some ageing. 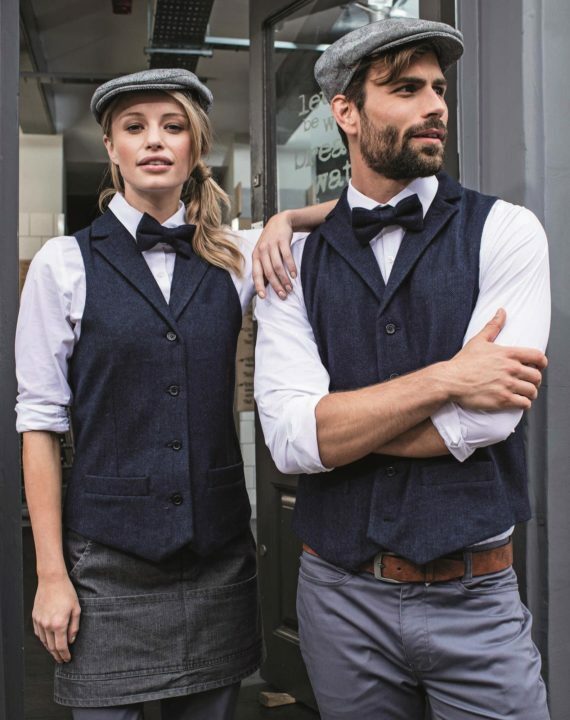 The trend for waistcoats to has grown with tweed and chino styles very popular. 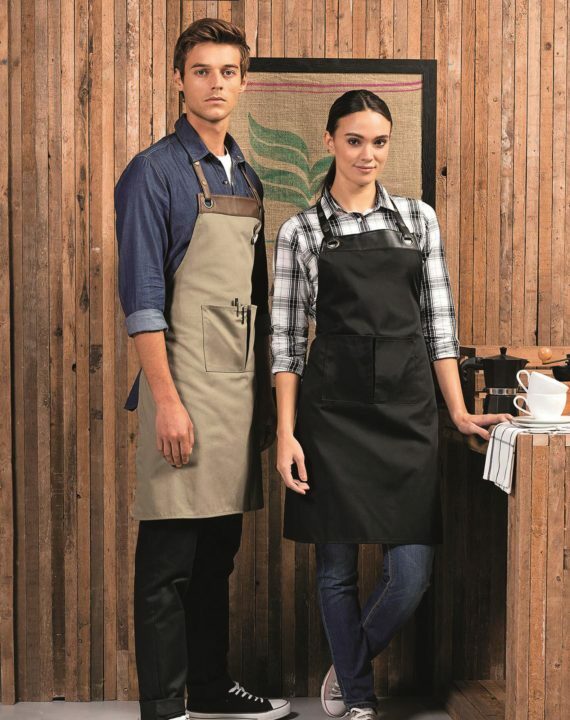 You may not think it but these garments blend well with the Urban look with their muted colours and textured fabric. Kylemark is more than happy to help you with your uniform but you’ll probably have an idea already. With our extensive ranges we will easily point you in the right direction and perhaps throw in some fresh ideas. We realise budgets are tight but that doesn’t mean you have to compromise on style. 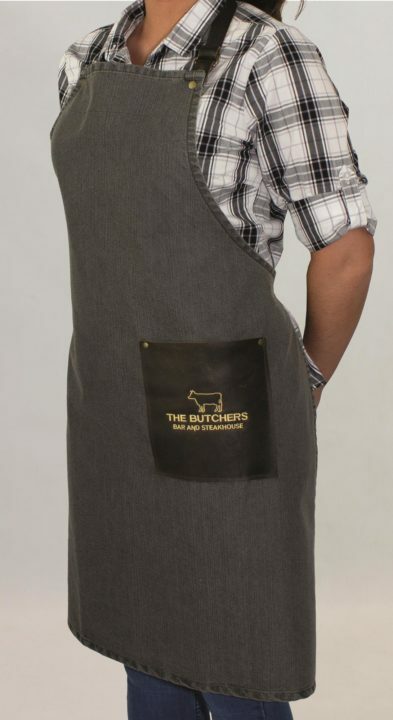 Even the customisation option can be very cost effective and it can elevated a standard ordinary apron or shirt to a unique piece of clothing. Our team are here to help with every aspect of your order. If you’d like more information give us a call on 0800 756 0837 or drop us an email and we’ll get back to you asap.